All Green Electronics Recycling is proud to assist organizations in the Charlotte area to get the maximum amount out of their IT Equipment with Certified IT Asset Disposition (ITAD), Secure Data Destruction and Electronics Recycling. As an easy way to give back to the local community, All Green even serves some of the residents of Charlotte with their electronics recycling. Charlotte is found in Southwestern North Carolina and houses the Local Headquarters for All Green Electronics Recycling. This business office is the head office for All Green’s functions in Virginia, Tennessee, North Carolina, South Carolina and Kentucky. Help to keep Charlotte clean and e-waste free by recycling your electronics with All Green. Electronics waste or E-Waste is the word for discarded electrical or electronic devices. Unusable electronic devices which are meant for reuse, resale, restoration, recycling or disposal may also be regarded as Ewaste. Unregulated processing of electronic waste in third-world countries can result in significant health and pollution problems, mainly because these nations have limited oversight of E Waste handling. It is estimated that 40 million tons of Ewaste are made on an annual basis. The United States throws away 30 million computer systems every year and 80 million mobile phones are disposed of in Europe on an annual basis. There is a substantial amount of Charlotte Ewaste released at the same time. The EPA estimates that typically 15-20% of E Waste is recycled, the other percentage of these consumer electronics go straight into landfills or incinerators. All Green Electronics Recycling is the leader in handling E-Waste in a safeguarded, responsible way. Electronic products that we recycle are entirely guaranteed to never end up in a landfill offshore. For scheduling a Charlotte E Waste pick-up, please fill out the request form on this site. 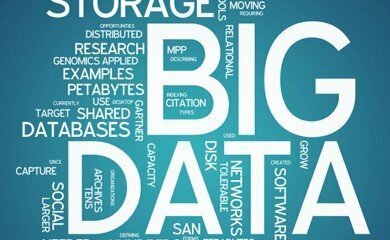 When security and data destruction are not treated with the proper care they are worthy of, it can result in many millions of dollars in damages and a totally tainted reputation. Regardless of whether your company is subject to strict privacy laws and regulatory requirements, your business can't afford to risk confidential information and facts falling into the wrong hands. Charlotte is home to numerous data centers as well as corporate offices for massive global businesses so we supply you with on-site hard drive destruction services in addition to our normal data destruction services in Charlotte, NC. With the most advanced hard drive shredding trucks in the business, All Green offers expert services that are absolutely unequaled! With a population of 792,862, Charlotte is North Carolina’s largest city and the sixteenth-most populated city in the United States.Wells Fargo’s East Coast headquarters and Bank of America are both based in Charlotte, making it a significant national financial hub.Charlotte is home to three professional athletic teams: the Charlotte Hornets (basketball), the Carolina Panthers (football), and the Charlotte Hounds (lacrosse). Charlotte is a cultural center of the Southeastern United States, with attractions such as the NASCAR Hall of Fame, the Charlotte Symphony Orchestra, and one of the largest annual renaissance fairs in the nation. All Green’s 7-Step Electronics Recycling, Data Destruction and IT Asset Disposition process in Charlotte and the bordering areas. 1. You have used IT Equipment – If it plugs in to the wall or takes batteries, we can take care of it! 2. Click or call to schedule IT Recycling – Our Charlotte customer service team is ready to assist 6 days per week. 4. We Tag Items for Security & Tracking. Tracking and Security are always guaranteed with All Green. 5. We safely transport everything – Your equipment is securely transported & tracked at every step. 6. We destroy all information – Data destruction selections from wiping to crushing and shredding. 7. Eco-Friendly Recycling – Qualified to the maximum standards. All Green is a Registered Microsoft Refurbisher with specialised systems created to increase returns to our clients. Our repair and resale processes are designed to get you the greatest value for all of your retired IT assets. Repurposing and resale of your IT Equipment has never been easier with our streamlined processes. Anywhere in Charlotte, you can turn your IT Asset Disposal process into a money stream by allowing All Green in Charlotte to pickup, track, thoroughly clean and repurpose your out of date IT Assets. The reselling of computer systems, notebooks, servers, hard drives, monitors, cell phones and tablets is what we do best! Let us do what we do best while you focus on what you do best and get the greatest return on your IT Equipment. Large enterprises and even educational facilities such as University of North Carolina at Charlotte, Central Piedmont Community College, Queens University of Charlotte, Johnson C. Smith University and Johnson & Wales University-Charlotte in Charlotte rely on repurposing IT Equipment in order to acquire new equipment as frequently as they can. All Green’s traveling hard drive shredding trucks are routed in the Charlotte area to cover the considerable number of corporate headquarters and enterprises based in Hornets Nest. 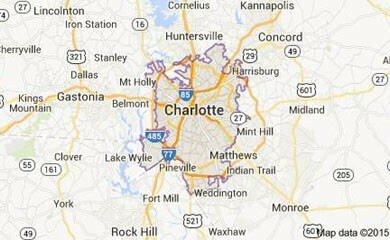 The landscape in Charlotte and adjacent areas including Fort Mill, Concord, Indian Trail, Huntersville, Mount Holly and Marvin allows us to operate hard drive shredding trucks that can go to your business location and destroy your hard drives while you sit back and watch. 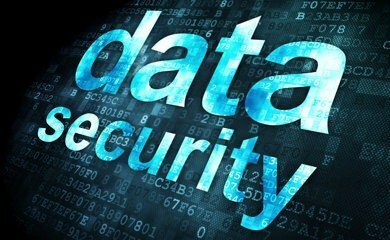 Federal agencies such as US General Service Administration, US Food & Drug Administration and United States Government depend upon secure destruction of their computer data and so should you. If you will not require witnessed hard drive shredding in Queen City, we can offer pick up hard drive destruction and wiping solutions and even pack and ship data destruction services. The state of North Carolina has stern destruction and disposal guidelines so we ensure accurate handling and security for all of your electronic equipment.